Anet has worked as a barrister, mediator & conflict management professional in a range of fields since 1990. She has lectured in conflict communication and resolution at AUT University and tutored in Mediation and Conflict Resolution at Auckland University School of Law. Initially practicing in corporate and later common law (family law solicitor & barrister), her professional experience over the past 28 years has included convening a wide variety of private and public sector mediations and facilitations. Areas of family law mediation have included Court-directed parenting dispute mediation, out of Court FDR mediations, wills, succession, testamentary, elder, and relationship property areas. Anet is a Fellow of the Resolution Institute and as a senior panel member in addition to her private mediation practice she currently accredits, coaches, and supervises mediators and supervises lawyers. She has mediated or facilitated over 3,500 civil disputes. She is currently engaged in research and writing on subjects as diverse as new migrant and refugee engagement with dispute resolution and when to use testamentary mediation. She is an inaugural and current author for the LexisNexis FDR Practice Guide. 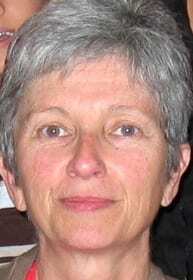 In 2015 Anet was awarded the Resolution Institute Practitioner award for significant contribution to Dispute Resolution reflecting her career of teaching, research, and DR practice of nearly 3 decades.